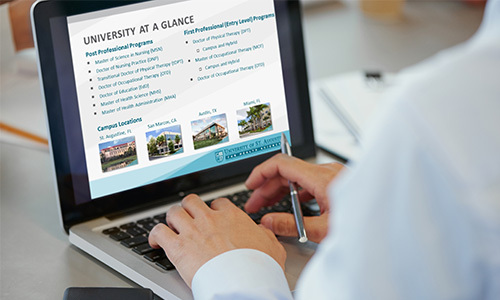 Join us on February 13 at 8:00 p.m. (Eastern) for a Virtual Information Session to learn more about the Master of Health Science (MHS) program. We are still reviewing applications for the Summer 2019start date. Hosted by Program Director, Dr. Jordan Utley, PhD, LAT, ATC – Learn more about the optional specializations, application process and everything you need to know to get started in the program. If you have any questions, please contact the Enrollment office. We look forward to speaking with you! Complete the form below to register for this or future virtual information sessions and get a jump start on your application for admissions to the USAHS Master of Health Science program!